Despite its setting in a galaxy filled with life, both the original and prequel Star Wars trilogy – beginning in 1977’s A New Hope, and ending in 2005’s Revenge of the Sith – were surprisingly more or less about one bloodline: the Skywalkers. George Lucas improvised some of it along the way, bending to the whims of fans by pairing Leia (Carrie Fisher) and Han (Harrison Ford), making her Luke’s (Mark Hamill) twin. On the other hand, the sequel trilogy that began with J.J. Abrams’ The Force Awakens in 2015, has been making the case for a different kind of family as it pushes into the saga’s inevitable future. 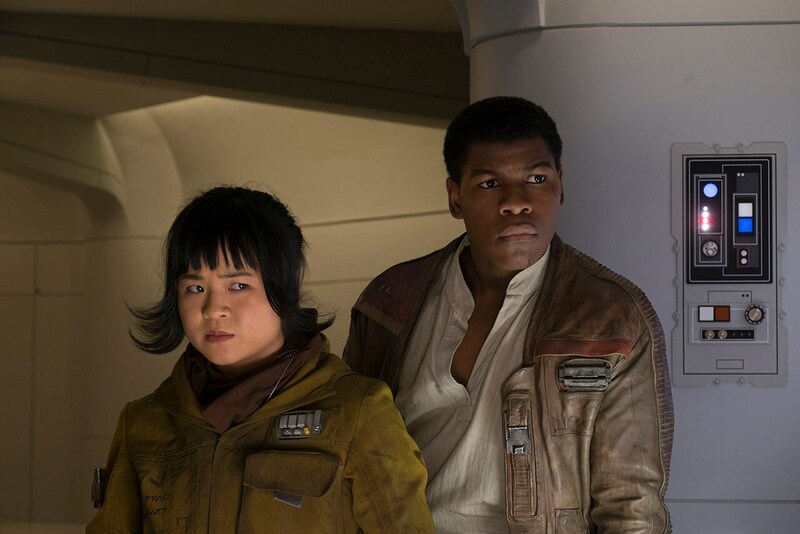 All the main characters – Jakku scavenger Rey (Daisy Ridley), distressed villain-in-making Kylo Ren (Adam Driver), and First Order defector Finn (John Boyega) – in addition to the supporting cast of returning Starkiller Base hero pilot Poe Dameron (Oscar Isaac), and new entrant maintenance worker Rose Tico (Kelly Marie Tran) - lack parental figures. They’ve either grown up without a family, felt abandoned by their parents, or lost them early on. It’s why Rey is so obsessed with finding the truth about them, and why Kylo Ren is drawn to Snoke (Andy Serkis), and it has laid the foundation for the new Star Wars. The questions about Rey’s past have also plagued the fans for the last two years, who have wondered where she fits in the Star Wars universe, and whether she’s related to someone we know. The Last Jedi – the second chapter in the sequel trilogy and the eighth instalment overall – doesn’t shy away from tackling those demands head on, while exploring and deepening the dynamic between Rey and Kylo Ren. The two share some touching moments through the film, that hit upon the shared loneliness, fear, and lack of direction, in addition to the bickering of their opposing ideologies. And those wishing for a revisit to the abrupt end of their lightsaber battle from The Force Awakens will be served a Return of the Jedi-inspired treat with a clever twist. Abrams played it safe with his opening chapter, partly because the Star Wars franchise couldn't afford to have another failure after the prequel trilogy, and because it had to set up the new characters the story was about. But now that that’s out of the way, his successor, Rian Johnson (Looper) can be bolder with The Last Jedi in many ways, which allows him to push the saga in unexpected and wonderful new ways. At the same time, the film realigns expectations of fans who loved the original trilogy, which were flawed and regressive in their own ways. In fact, there are moments where Johnson nearly rewrites the rules of Force-related capabilities, which will no doubt be the cause of intense fan debate and uproar. At the same time, Johnson's script takes narrative shortcuts, and has a background plot mechanic that makes the First Order feel stupid at times, instead of the all-powerful entity that it’s made out to be. When you get time to reflect on what you've seen – The Last Jedi is the longest Star Wars film at 152 minutes, and it packs a lot in – you'll inevitably be left puzzled or slightly disappointed by certain choices, or in one extreme case wonder the implausible nature of the moment. But his direction is steady and focused, imbuing each scene with emotional resonance that the film carries you wonderfully from moment to moment, while having the sense of making it an enjoyable ride with well-earned laughs drawn from new creatures (yes, Porgs), droids, heroes, and even villains, in addition to a sprinkling of cool action moments for nearly every primary character in The Last Jedi. BB-8 is probably the winner overall. Star Wars films are expected to deliver on the visual spectacle, and Johnson handles that expertly in The Last Jedi, providing big space battles that allow you to feel the might of the First Order and the nimble nature of small fighters. The film is also inventive with lightsaber duels that showcase the clever side of the characters we admire and root for, be it co-operation and outsmarting your opponent, or a fitting tribute to Luke’s legendary powers late in the film. In all this, Johnson is smart enough to reserve time for personal moments for the secondary characters as well, letting old favourites such as Leia, and new ones such as Rose, shine whenever possible. It's easy to see why The Last Jedi runs close to two and a half hours, since it has the widest focus of any Star Wars film, with three different narrative threads for most of the runtime. Unfortunately, the film is unable to properly serve most new cast members, bolstered by the likes of Laura Dern – who plays Vice Admiral Amilyn Holdo, and leads the Resistance in dire times – and Benicio del Toro as DJ, a codebreaker (Star Wars' version of a hacker) with no alliances. Both serve a part to the plot, and though their actions have dire consequences, it doesn't make them memorable in any way, which is a shame with such talented actors. Their under-utilisation does give the film more time to enrich and add layers to its two protagonists – or two halves of the same protagonist, as Johnson prefers it – Rey and Kylo Ren. If Star Wars fans were worried The Last Jedi would hew too close to The Empire Strikes Back after Abrams copied the structure of A New Hope for The Force Awakens, Johnson instead ends up delivering a chapter in a galaxy far, far away that borrows from both Empire and Return of the Jedi. The film closes storylines and provides catharsis in a way that would normally be reserved for the concluding episode of a trilogy, which is currently in the works by Abrams for a 2019 release. That’s why the characters in the film too talk about putting the past to rest over and over, discarding everything they’ve known and pushing into a future that’s shaped by them, and doesn’t carry any of the baggage from the original trilogy. It’s almost as if The Last Jedi embeds Johnson’s view of the Star Wars saga into literal dialogue, smartly speaking to the millions of fans through a mighty-expensive studio vehicle for which nostalgia has always been the cornerstone, all the way back to its origins, when Lucas infused goofiness into his admiration for Akira Kurosawa’s samurai movies. 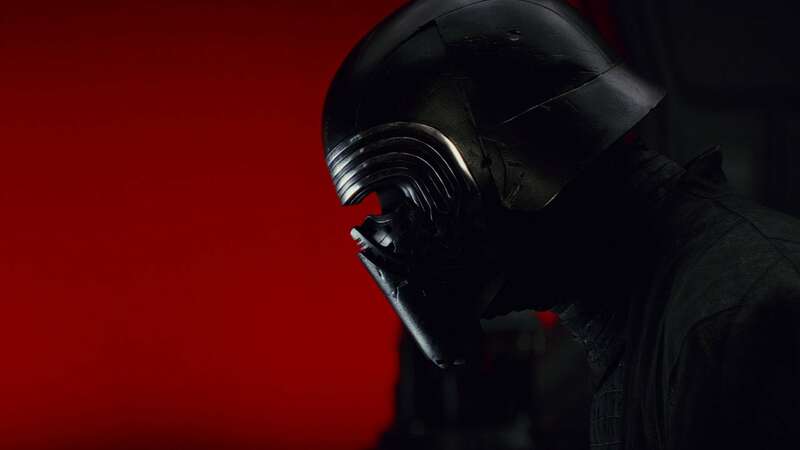 To that end, The Last Jedi forges a new path for Kylo Ren, whom The Force Awakens made too easy a comparison to Darth Vader, due to the filmmakers’ construction of him as a black-robed guy in a mask who worships Vader's burnt helmet and barks that he wants to finish his grandfather started. Here, when Snoke mocks him for his failures and the Vader-inspiration in The Last Jedi, he smashes the mask into pieces. Johnson shows that Kylo Ren is unlike both Darth Vader and Anakin Skywalker. He's neither fully-formed like the former, who was a calculating and menacing individual, nor is he a man who's lost sight of what he’s trying to be, and gets pulled towards the dark side. Rather, Kylo Ren is always in between the two. He's a flawed human being, who's always conflicted about what he must do and what he wants to, being pulled in different directions by his mind and his heart. To understand him is to understand that villainy isn't a switch, and that realistic characters are driven by internal logic that results in what appear to be objectively good or bad choices depending on the circumstances. The writer-director brings that lens to the rest of the cast too, though with mixed results at times. In studying Rey’s need for guidance, and the deeper underlying issues owing to her upbringing, The Last Jedi hits at the futility of running from what you’ve always known. But she doesn't have any moments of utter vulnerability that plagued Luke in Empire, and you might be left with the feeling that you don’t see her character grow enough. Poe Dameron’s hero complex is given a much better dressing down thanks to Leia and Amilyn, and Luke’s broken-hero state and myth status gets a deserved deconstruction. The Jedi Master has lived more than 50 years and knows a lot about the ways of the Force, but he's still no match for the infinite wisdom of say Yoda, who spent nearly 900 years living and learning. 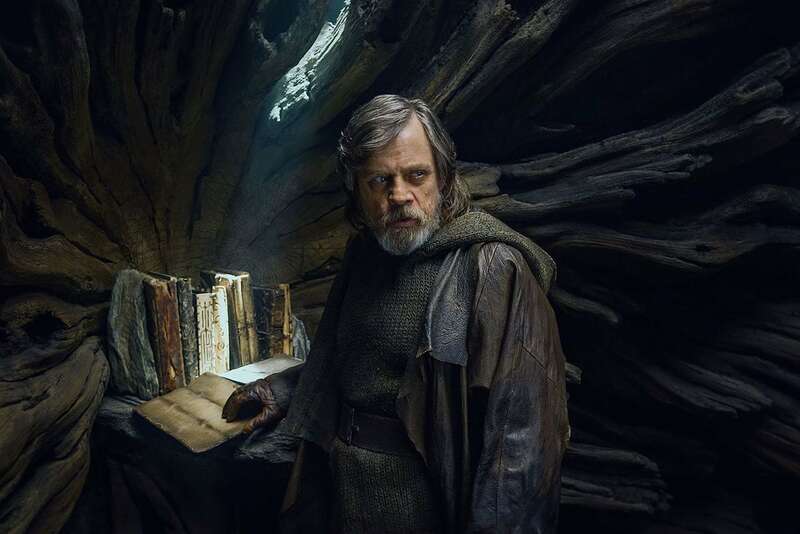 Moreover, the audience hasn’t been around for much of his middle life, and The Last Jedi’s exploration of his world-weariness and his guilt are not just crucial to the plot – you know Luke has to pull himself for the sake of advancing the story – but for answering the question posed by the film’s title, and why its characters and the Jedi Order must move on, for wisdom is in knowing that knowledge is ever-evolving. For Johnson, the writer-director charged with designing the next step of Star Wars, that lesson can almost feel a little on the nose. But The Last Jedi is so much more than that. It’s proof that well-made franchise stories – even in a studio that’s been quite heavy-handed with its directors recently – can deliver a new engrossing chapter that respects the much-loved past while slowing closing the lid on it, and steer the ship in exciting, mature ways that push the boundaries drawn by its predecessors. A different kind of Star Wars, it is. Is Star Wars: The Last Jedi the best movie in the series? We discussed that on Transition, Gadgets 360's pop culture podcast. The first 23 minutes are spoiler-free, and we dive into spoilers after that with multiple warnings. You can listen to it via Apple Podcasts or RSS or just listen to this episode by hitting the play button below. product Written and directed by Rian Johnson, the eighth episode in the long-running saga is out Friday, December 15. This is a spoiler-free review.